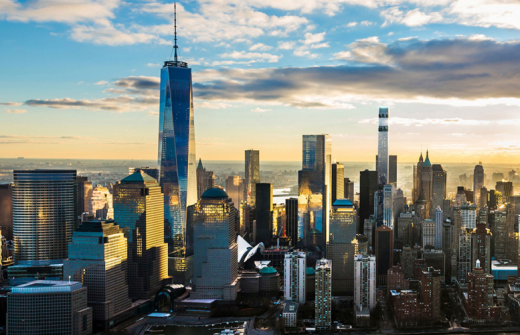 Michael Shvo, Howard Lorber’s New Valley and Bizzi & Partners’ soaring condominium at 125 Greenwich Street will house 275 units – nearly 150 more than early renderings for the Financial District tower indicated. The tower will rise 91 stories with 275 condos spread over 306,312 sqft. Units range in size from a 403-sqft studio to a three-bedroom 3,625 sqft pad. The top two floors will have two units each. Projected operating expenses for the condo tower will top $4 m. Early renderings circulated in the fall of 2014 indicated it would have 128 units, with 10 full-floor penthouses. A 10,600-sqft duplex was to occupy the top floor. The developer said plans were subject to change. 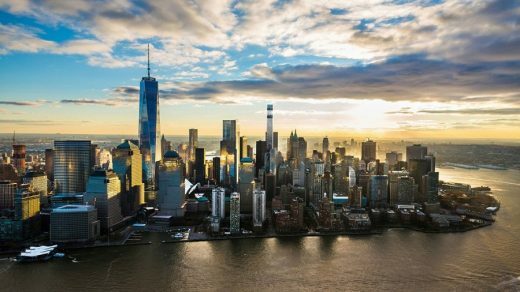 The building is expected to rise more than 1,000 feet, down from 1,356 feet as was initially reported. 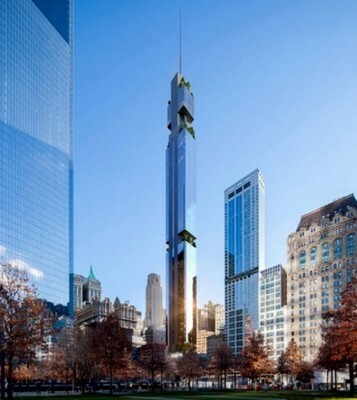 Plans filed with the Department of Buildings, however, describe an 876-foot tower. Shvo partnered with a group of investors, including Bizzi and New Valley, to arrange $240 m of equity and debt for the acquisition and development of the site in 2014. The developers paid $185 m for the site, where Fisher Brothers and the Witkoff Group had planned a 956-foot-tall rental tower. Shvo and Bizzi, along with partner Halpern Real Estate Ventures, are also planning a Renzo Piano-designed, 242,000-sqft condominium building at 100 Varick Street. The building will house 115 condo units.